Community members play games at last year's Big Top Festival. For many folks in Fort Thomas September means Big Top. 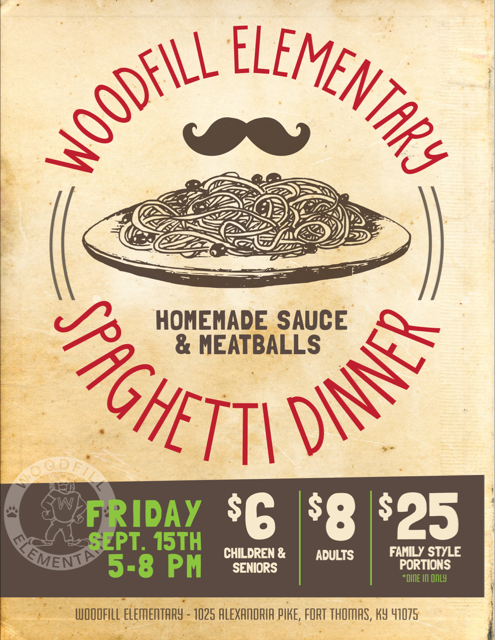 The well-loved festival returns this weekend with Woodfill Elementary's Friday night Spaghetti Dinner and Sunday's Big Top Festival. 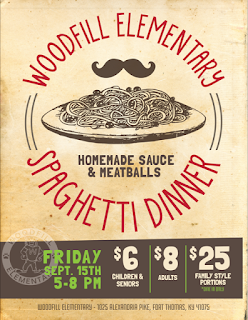 Friday, September 15, from 5 p.m. to 8 p.m., the entire community is invited to dinner featuring spaghetti with homemade meatballs and sauce at Woodfill Elementary's cafeteria. Rebecca Leonardi-Neufarth is using old family recipes and, along with family members, has been hand-rolling 1,000-plus meatballs in preparation for the event. Family-style portions will be available for dine-in only, for $25. For individual portions, adult meals are $8 and child/senior meals are $6. Children may preview and play games that will be at the festival on Sunday, and win prizes. The inflatables, located behind the school, are always popular. Children play the Candy Wheel at last year's Big Top Festival. The Body Works booth is another popular place for children to spend their tickets. Sunday's Big Top Festival, September 17, noon to 6 p.m., will feature inflatables, a silent auction, food, a cake walk, games and prizes for all ages, a basket raffle, candy wheel, body works, spiritwear and the ever-popular Up for Grabs booth. New this year: a chance to win a Pop-A-Shot. Woodfill students are currently selling raffle tickets for $1. First prize is $1,000, second prize is $250 and third prize is $100. Parents are as much a part of the festival as children, and the entire school family rallies each year with donations of basket raffle items, candy, pop and items for the cake walk. Countless community members donate time not only preparing for the festival, but setting up tents and games, running games, cooking pasta and handing out prizes. Many understand the festival's importance: It's the only fundraiser Woodfill's PTO holds annually. "The festival is a great way to bring the students and the surrounding community members together in a fun, family-friendly atmosphere," says Woodfill parent and Big Top Festival Chair Ashley Winburn. Because Winburn works full time and can't volunteer at the school during the day on a regular basis, she decided to put her organizational skills to use by volunteering to be the new Chair. To ensure the spaghetti dinner and festival run smoothly, the Chair meets with committee leaders, also parent volunteers, on a regular basis for months leading up to the event. “The Big Top is a critical piece to much of what we do at WES," says Principal Keith Faust. "Our PTO has generously donated $40,000 over the next four years to our Leader in Me initiative, much of this money comes from our Big Top Festival." On Saturday, Faust appeared with FTIS Superintendent Dr. Karen Cheser on Fox 19 to talk about Woodfill's partnership as a Leader in Me school (#FTISGlobalLeaders), as well as Big Top. Leader in Me is a program that teaches 21st-century leadership and life skills through student empowerment based on the application of seven habits. You can see the entire segment here. For more information on the Spaghetti Dinner and Festival, go here. All events will take place at Woodfill Elementary, 1025 Alexandria Pike, Fort Thomas.